Add TSS and restore that dirt bike “pivot” in the rear suspension that we’ve all dreamt of but that snow bikes have never had. TSS adds 8.5″ of additional plush suspension and makes the Mountain Horse feel shorter and more nimble. The new Convex 2.5 easily outperforms all other designs by increasing efficiency, handling, and reducing weight. 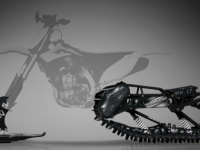 The specific “Convex” shape mimics a tire making it easier for trail and hard pack riding. 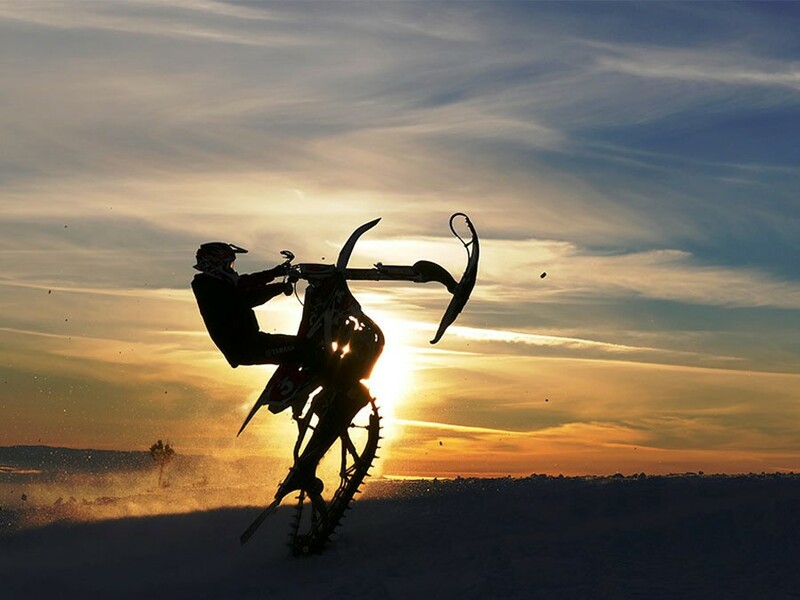 The most efficient, best climbing, smoothest riding long travel rear snow bike suspension on the planet. It also utilizes our Front Flex Arm technology that feels narrower like a tire, and helps keep your bike level as you ride across uneven terrain. 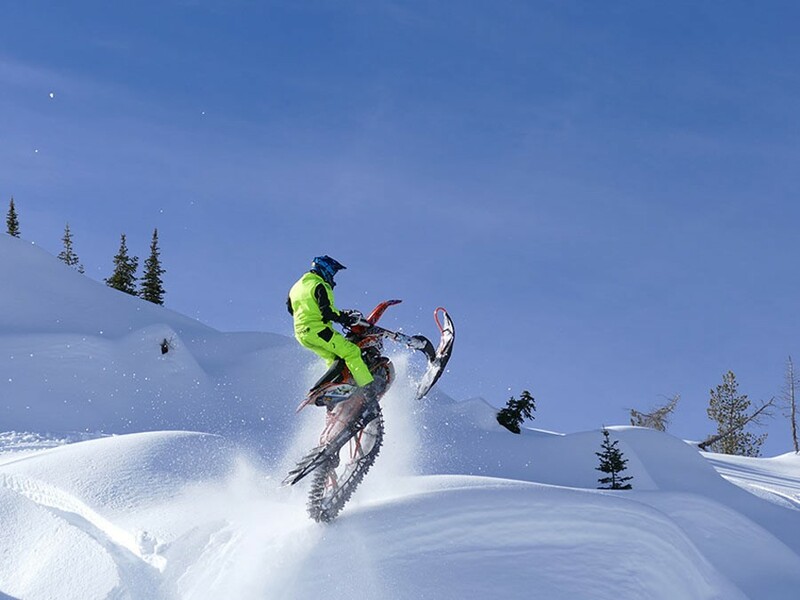 Since 2009 Timbersled has worked tirelessly to develop the only Snow Bike tuned Fox Zero Pro shocks that make your ride just right. They will handle everything from tiny terrain variations to massive drops. 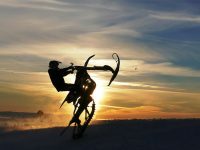 Timbersled has created the most efficient and most reliable snow bike drive system. There is no need to pack a spare belt or worry about durability when you know your Timbersled uses proven lightweight (110 gram), JT brand splined sprockets and an efficient ultra-strong JT zero stretch chain. 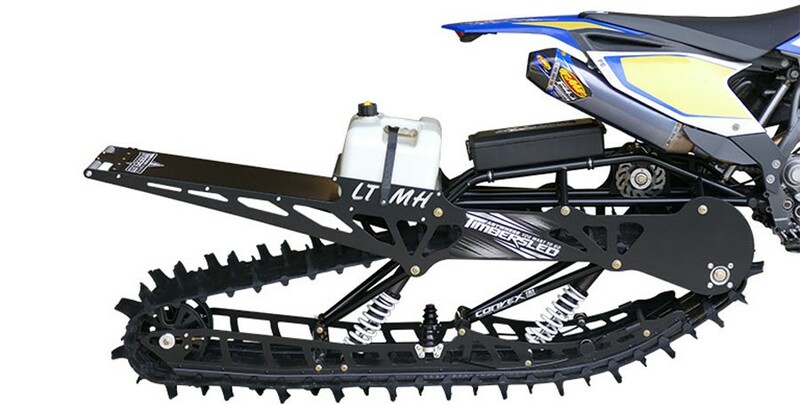 Timbersled’s new Bottomless Rail System provides a never ending suspension feel by absorbing those disc crushing g-out forces into Timbersled’s new rail mounted jounce bumper system giving an additional 1.5′ of bottom out resistant travel. 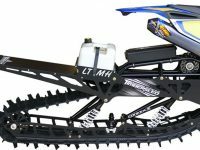 LT track system, 10” Backcountry ski and spindle, zero-stretch JT chrome plated drive chain, 5’ brake line. Requires Install Fit Kit. For More Info On TimberSled Mountain Products CLICK HERE!